Sorry just have the creamer to this wonderful Nippon china. Creamer is before world war II. Nippon is what japan used to call china made before the war. 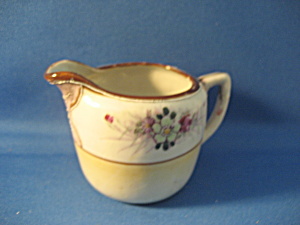 Creamer is in excellent condition.